I've often found that the aspen leaves put up more a fight in the Spring than in the Fall. 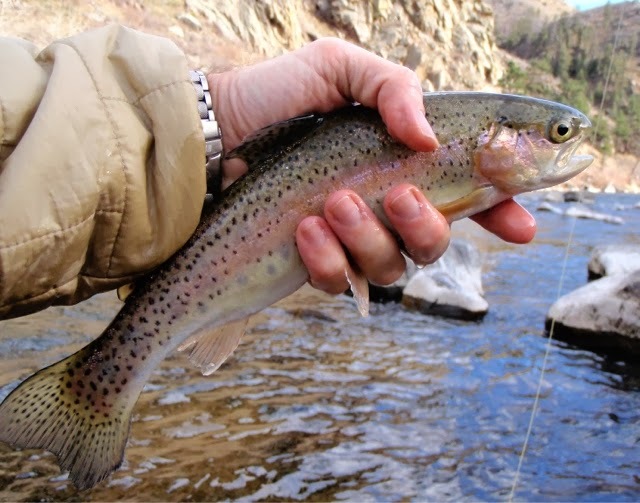 I've also found that any time on the Poudre is time well spent. It was amazing how many of those leaves were lurking under the surface. It is great seeing how clean the Poudre is overall after the flood. Lots of clean sand and rocks, I'm sure the trout love it. Mike! Nice fish buddy! Glad you made that last cast! 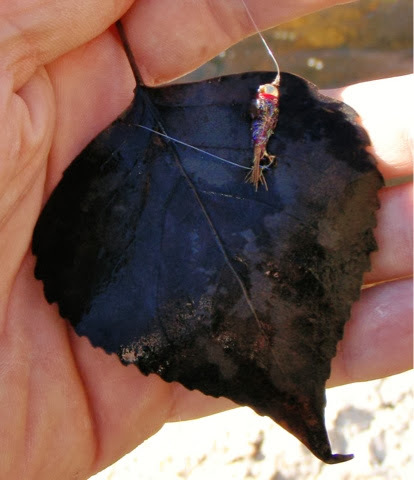 Leaf fish are difficult to catch and fight for all they are worth! Nice pics buddy!